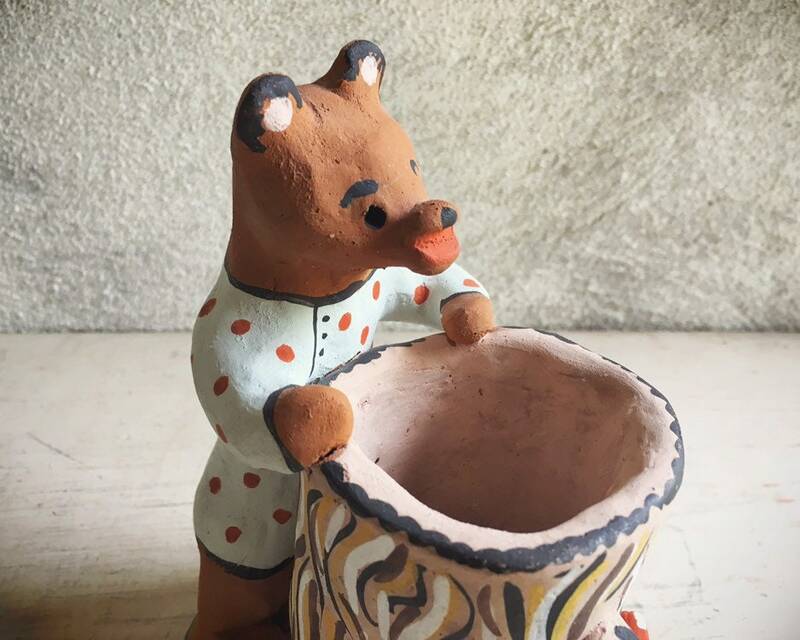 This vintage pottery bear came from the estate of a woman who traveled to Russia in the mid 1990s and brought back several souvenirs. This piece came from the Russian State Museum gift shop, and is all handmade. It is likely to be used as some type of holder, perhaps for pencils. 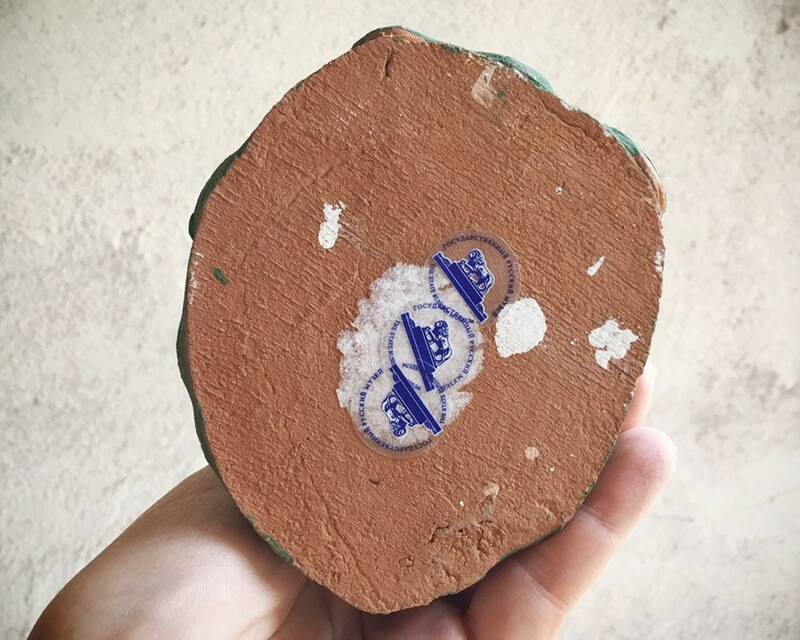 Maybe even a planter, although given that it is unglazed pottery, it would not hold up to water absorption over time. For that reason, I'd also be careful about anything placed in it, as it is breakable. It'd be great as a shelf decor, in a child's room or nursery. 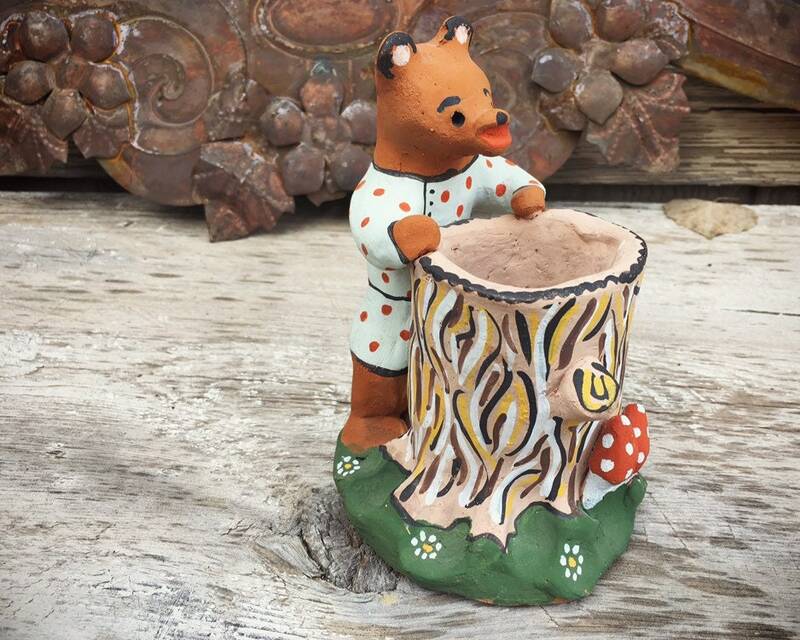 The bear is dressed in pajamas and is looking in a tree trunk, most likely for honey. Most kids can relate to having a pang of hunger right before bed. 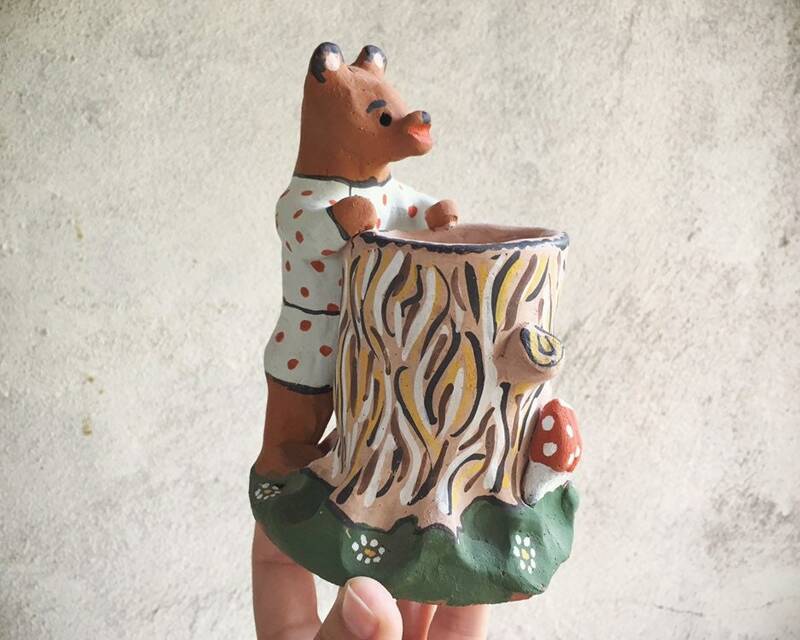 The hand shaped and painted pottery is fairly heavy, and super adorable. 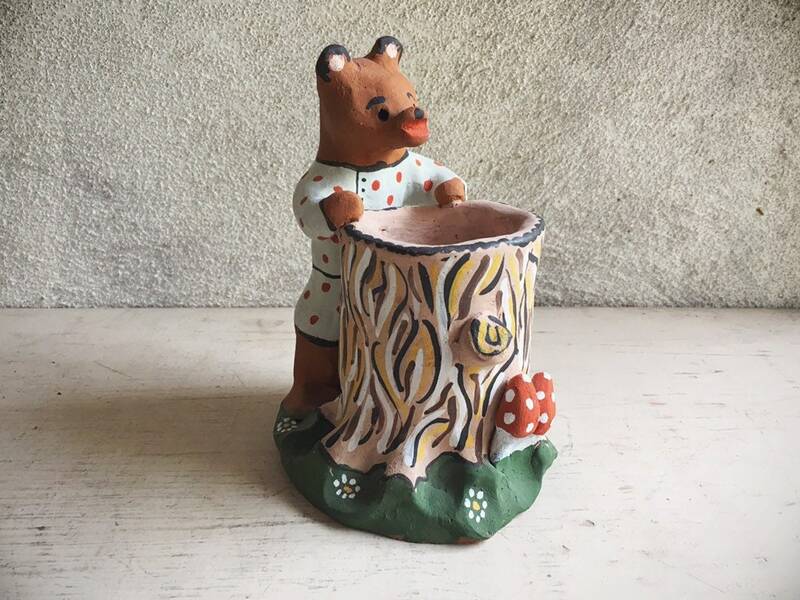 Measures about 5-1/2" tall and the base is 3-1/2" wide by 4-1/4" deep. 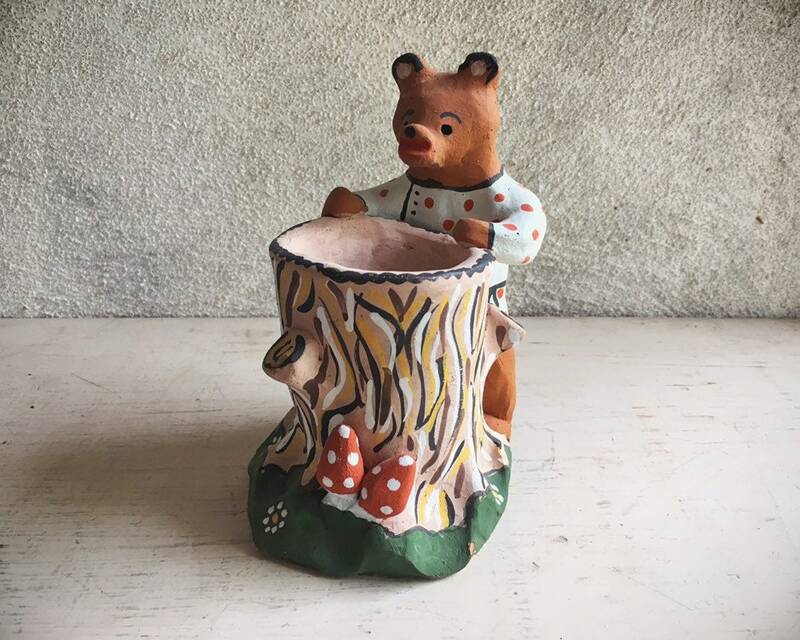 An unusual Russian gift for the bear lover.